No images of Solaworx Installations. Solaworx Pty Ltd is comprised of a team of professionals from the solar power industry, each of whom is committed to providing the highest quality systems on the market. The company also practices what it preaches, as it operates out of the Aldinga Arts Eco Village - the site has one of the highest rates of solar panel installations in the whole of Australia. Solaworx Pty Ltd provides Economy, Classic, Premium and Ultra Premium products, giving customers the chance to choose a system that suits their requirements and budget. Solar modules from the likes of ECSOLAR, SolarPark and Q-Cell are among those used by the firm. Solarworx was one of three quotes. Of the other two, one was just a flat price of $5k with no other information and the other failed to quote within the first week (although it was mid-January and he did apologise for the delay). Like many consumers, I'd done some homework but was surprised at the amount of information that I was unaware of. Solarworx's quote had three pricing and supply options with each differnece full explained.vIn the end, we went for the mid-range one. There was an initial hiccup with installation due to roofing issues and the delay of several weeks was of minor inconvenience only. Mark Moody maintains contact and returns calls promptly, he was very laid back. It was a much better feel that the high pressure sales tactics I had experienced in our last couple of forays into solar which resulted in us postponing the decision. It's all now installed, operates at a premium level and the retailer has switched over the meters. All that's left now is to see what impact it has on pour power bills. I did notice on the weekend that SA Power Netwroks is lobbying the Essentuial Services Commission to change electricity tariffs so that they can charge peak rates in the evening, early morning and at night "to encourage more use during the day". Originally had paid deposit to Sunboost for 5kw System but 4 months later and 6 cancelled installation bookings with nothing but excuses decided to find another installer. 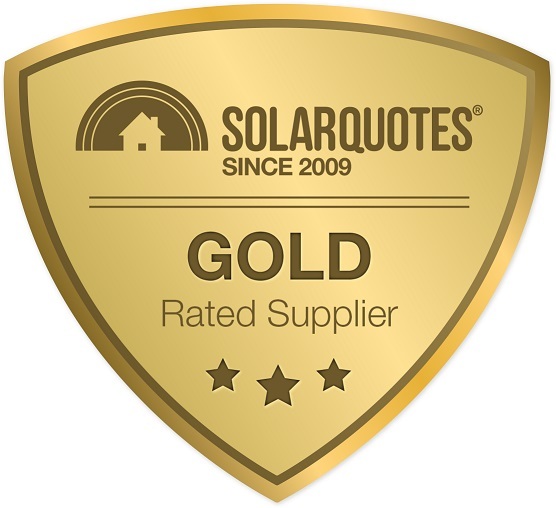 Found SolarQuotes and Mark Moody Highly recommend Mark very professional and simple to deal with. 16 days from contact had 3 phase 4kw ZeverSolar Invertor and Panels installed. Tradesmen were very professional and neat and tidy and system is operating above expectations generating 30/35 kw daily? 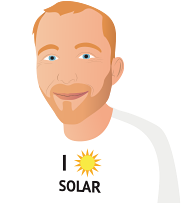 Mark was very prompt to contact us, the day after Solarquotes sent me the referrals. The solar system was installed within a week from when we first requested the quotes. the facts. It wasn't the cheapest, but an excellent system for years to come. The installers were very good and helpful. The follow-up was also excellent. Would recommend Mark Mood and his team very highly. The whole experience was easy from beginning to end. We have accepted the quote from SolarWorx, and there was a delay in having a roof inspection done, but this was because of poor weather conditions. After a few discussions we'll need to mount panels on tilt frames. perhaps not the prettiest scenario but our roof only has a 5 degree pitch so this will help keep the panels clean and hopefully producing optimal power. We now need to apply to council for the tilt frame installation. The installation on the day was speedy and efficient and professional. Some minor delays were experienced due to unforeseen circumstances. Mark was very knowledgable and articulate; he made the technical information easy to understand. He provided us with an extra option which we had not previousl considered. Mark's expertise and availability to respond to questions regarding product and installation were excellent. The speed at which our system was installed and running was exceptional. The installers were very professional and communication with them, regarding best placement for panels was pleasant and productive. Our micro inverter system is performing above our expectations and we appreciate the instant feed back on the performance of our system via the App. Thank you Mark and your dedicated team. We happily recommend your business to anyone considering considering installation of a solar system. When I requested 3 quotes from the Adelaide area, I received 2 responses. Mark Moody from Solarworx was the quickest to respond and provided a reasonable quote for an excellent system. 6.5kW of REC panels - 20 off 325Watts each, with Enphase micro-inverters. The other company that quoted wouldn't install the panels until after SAPN installed the new meter, which was estimated to be in January 2018. They also quoted on a single DC inverter. Solarworx quoted a superior system for very little increased cost, and installed quicker. The date of installation was set for end of November, but circumstances (sickness of installers) delayed the installation until mid-December. The system has been installed for over a week now and the new meter was installed 3 days ago so 18 cents/kW Hr is clocking up as credit for me while the sun shines. I am extremely happy with the system, the installation and the end result - we have been receiving over 40kW/hr of solar generation each day with around 3kW/hr per day drawn off the grid. At that rate we should pay it off in 3 years. Andre and Brandon (installation team for SolarWorx) were outstanding. They were experts, respectful, provided great information to me and made the installation totally seamless. Mark Moody from SolarWorx was also very knowledgeable, helpful and responsive. The only slight criticism I could have (and minor at that) is that he wasn't great in keeping me up-to-date with the final install date. He took care of all the paperwork, and organised SAPN to install the new meter promptly - a great job all round. Solarworx were the only installer to send their actual installation team of two to crawl over the roof, measure up and provide practical advice during the tendering period in addition to an earlier visit from their manager to price the job. I strongly recommend the installation crew visit site to appraise the job and iron out any problems particular to the site before acceptance of an offer. Some installers rely only on their software incorporating Google aerial photos of your house to prepare their solar system quotations. Mark Moody of Solaworx answered all my questions and those I hadn't even thought of. He replies to txt and calls promptly and goes that extra mile to ensure you have the infomation you need to make a decision about your site specific installation. Although initial contact was through email quoting once I made contact with him he arranged a site visit and took time to make sure I had all the necessary infomation to make a decision. Installers Andre and Brandon also made a site visit to discuss orientation and installation options and offer advice. Personally, I think a lot of jargon is still used within the industry. You need some form of basic knowledge of how electrical currents work AC vs DC etc. I've got no idea. I still have no idea and I won't pretend that I do. My approach was to ask the installer for a system that they would provide their own home based on my requirements and needs.